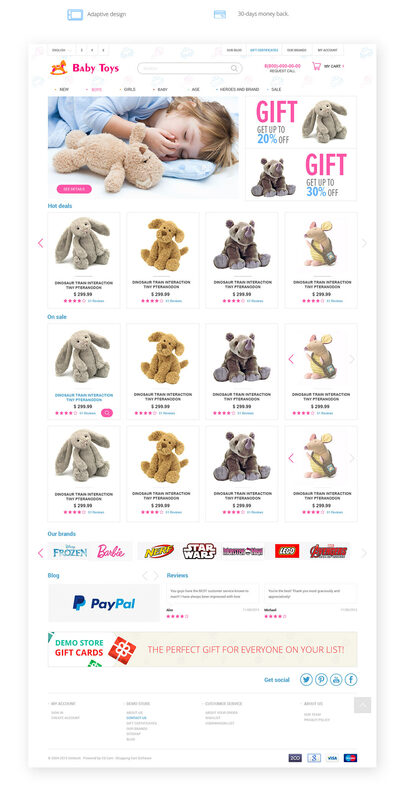 We have developed Cute Baby Toys Theme is primarily intended for selling toys, clothes and accessorizes for kids and other products for happy moms, dads and their children. 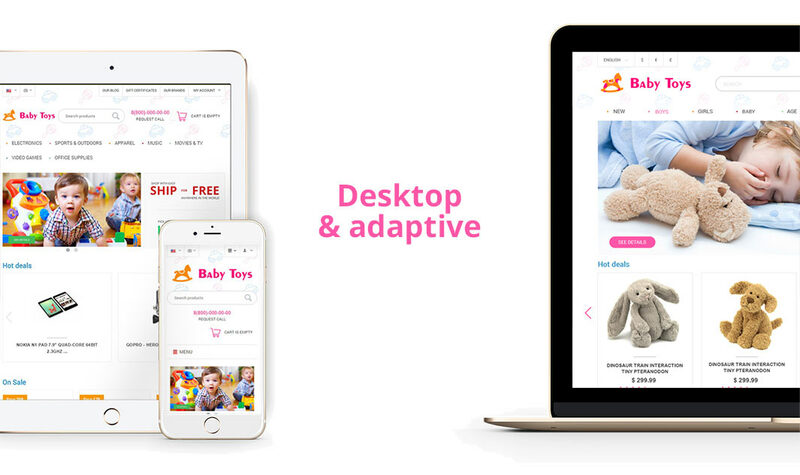 Simple design elements focus your customers' attention on goods and make online-shopping enjoyable. The skin has 3 main colors: blue, marine and pink. These colors make your store attractive and nice looking. Fresh interface elements make positive engagement with customers. The add-on is compatible with CS-Cart and Multi-Vendor 4.3.1 and above. Need compatibility with another CS-Cart version? Contact us. P.S. Join us on Facebook to have a chance to be the first to know about free solutions for your store and information about special promotions and discount promo codes.